Easily record, and re-record, information using this versatile, pocket-sized, easy-to-use product and the self-adhesive labels. You can instantly play back the recordings anywhere simply using the PenFriend - no computer required. 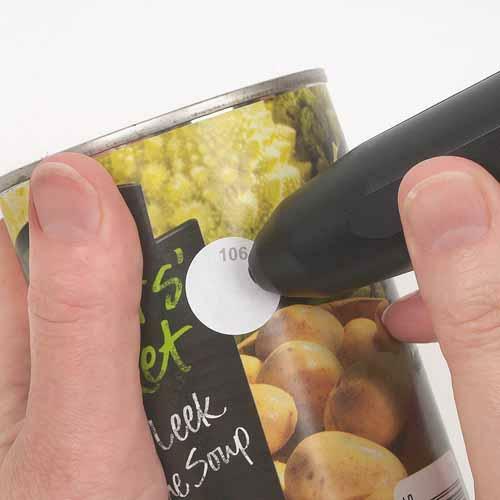 Use to label food items including freezer items, film and music collections, household objects or even to organise letters and other paperwork as well as record shopping lists or leave audio messages. It can also be used as a portable note taker, record your message and keep track of it by placing the allocated label in a small notebook or in your diary. Youtube video demonstrating PenFriend. When watching this video, please bear in mind that it was made for a UK audience. Thus, U.S. prices will be slightly different. PenFriend Hints. This is a .PDF file. PenFriend User Guide. This is a .PDF file.